Sit back and relax in this iconic oasis of calm right in the heart of Manhattan’s concrete jungle. The electric atmosphere of the New York’s busiest square will leave your head spinning, an essential experience for all visitors. 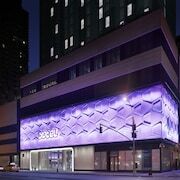 Head to this hub of business and entertainment housed in one of Manhattan most iconic Art Deco developments. Head to the top of this world-famous skyscraper for some of the most exhilarating views of the cityscape. No trip to New York would be complete without a visit to one of the most recognisable statues in the world. 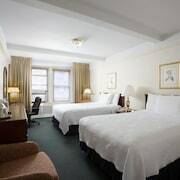 5 nights in New York, good position, close to Subway, Times Square, and the shopping district. 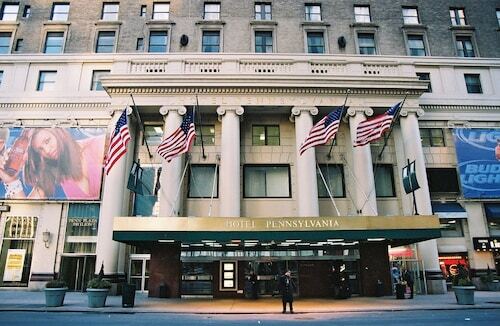 Hotel in perfect position for anyone staying in New York right across the road from Pennsylvania station. Room was a decent size for New York and the in room facilities were good. Thanks for making my stay in New York even better thanks to your positive attitude. In New York the real action is in midtown but this downtown location is perfect for access to Battery Park - where the Statute of Liberty Cruise departs - Wall Street, and stop 10 on the Big Bus Tour downtown route that starts at Broadway & Wall Street. 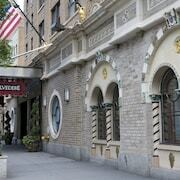 As with all rates in New York, hotels are overpriced for what they offer but with this discounted rate in mind for Jolly Madison I can recommend it highly to anyone looking for a well run hotel, polite staff, big rooms and great location. The staff was professional and prompt. The bar area is a great place to meet. No city in the world is quite as amazing as New York City. The home of Broadway, the Statue of Liberty, Times Square, the Empire State Building, and the Brooklyn Bridge is waiting to show you just how much fun it can be to take a bite out of the Big Apple. 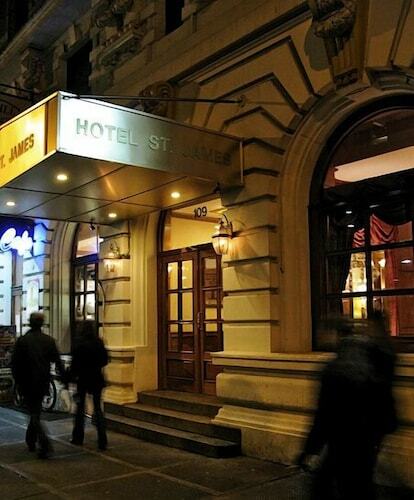 As you tour the city by foot, you will walk the streets where some of the most iconic scenes from your favourite movies and television shows have been filmed. The best part about NYC is that it offers attractions that appeal to everyone from small children to seasoned world travellers. 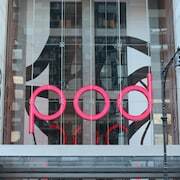 Whether you’re coming to shop for this season's biggest fashion trends or catch a live show starring your favourite celebrity, you’ll be mesmerized by how big and bright this iconic destination truly is. You’ll love spending an afternoon strolling through Central Park before grabbing a slice of pizza from a street vendor. You’ll really feel the city in your bones when you visit iconic spots like the Metropolitan Museum of Art, the National 9/11 Memorial and Museum, Grand Central Terminal, Bryant Park, Rockefeller Center, Radio City Music Hall, the New York Public Library, and Madison Square Garden. It's time to find out why everybody loves New York by planning your own personal tour of the city. The travel experts at Expedia.co.nz are always in a New York state of mind. 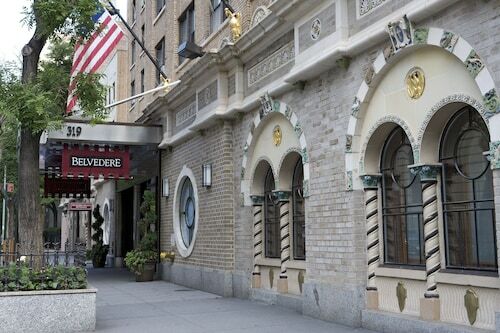 Let us help you find cheap rooms at New York luxury hotels near the city’s hottest attractions. 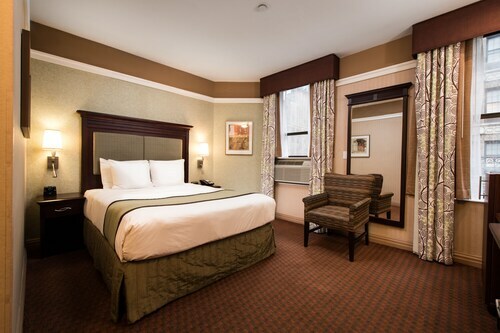 Whether you want to sleep in the heart of Manhattan or enjoy a hip neighborhood like Chelsea, we’ll connect you with rooms that fit your needs. 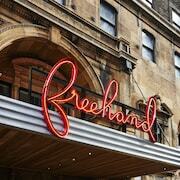 What’s more, we give you the option to stay at fancy hotels or budget-friendly motels. When it comes to seasons, the City That Never Sleeps never has a sleepy one. Whether you come during a hot summer or chilly winter, you’ll tap into the magic of the city’s versatile weather. You can reach the city easily by landing right at John F. Kennedy International Airport (JFK) and grabbing a rental car or hopping in a taxi. You can also choose to land at LaGuardia Airport (LGA) in Queens if convenience is your goal. The travel tools on Expedia.co.nz allow you to book a perfect trip in a New York minute. Let us help you plan and book the perfect NYC getaway today without the need to visit multiple websites. 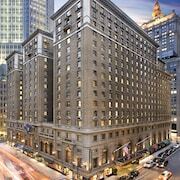 We can connect you with suites at New York City luxury hotels that are preferred by celebrities and moguls. We can also introduce you to simple rooms at comfy motels. In addition to great accommodation offers, we also provide all-inclusive travel packages that bundle flights and rooms together. What’s more, our low rates make arranging a car rental in New York so easy and affordable. 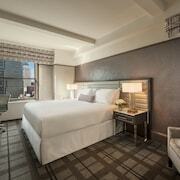 Book your New York accommodation right here while the hottest deals in the city are still around. Explore New York with Expedia.co.nz’s Travel Guides to find the best flights, cars, holiday packages and more!